The Beautiful North African country of Morocco is a stunning tourist destination. If you plan to experience the exquisite culture, cuisine, and luscious landscapes, then Morocco just might be the perfect place for you. 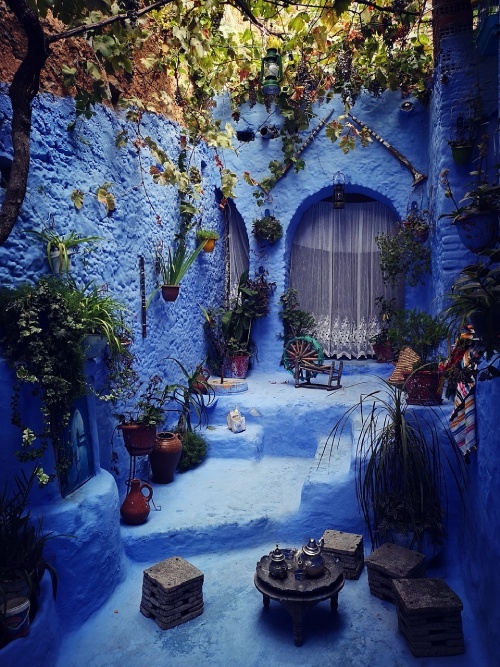 Whether you are interested in de-stressing and relaxing in the famous Hammams and Spas of Marrakesh, or perhaps some retail therapy with the endless variety in the local flea and street markets, experiencing the wonderful people and culture of Morocco is enlightening. Here we breakdown some activities you must indulge in when visiting Morocco. Morocco is quietly famous for its exquisite taste and native cuisines. 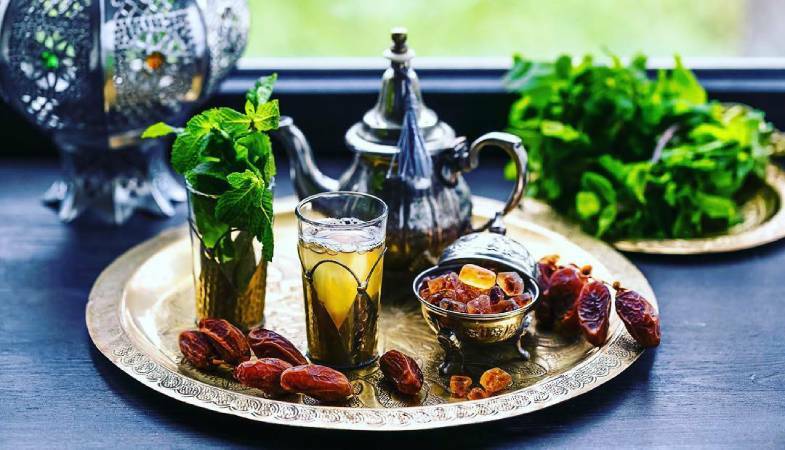 Well known for its fresh ingredients, fragrances and traditional methods of preparation, the dining experience in Morocco is on another level. The best way to experience the cuisine is to indulge yourself with the Moroccan street food. Local handmade desserts, juices, and fruit salad. From different pieces of bread, soups, and meats, it fills your palate with new flavors and spices that you won't find anywhere in the world. The street food is also famously known for its refreshing mint tea, which most people enjoy at the end of their meals. At night the Morocco street food areas transfer into an entertainer’s paradise! With jugglers, musicians and artists that are a beautiful sight to see while you enjoy your food. What a perfect end to your experience. 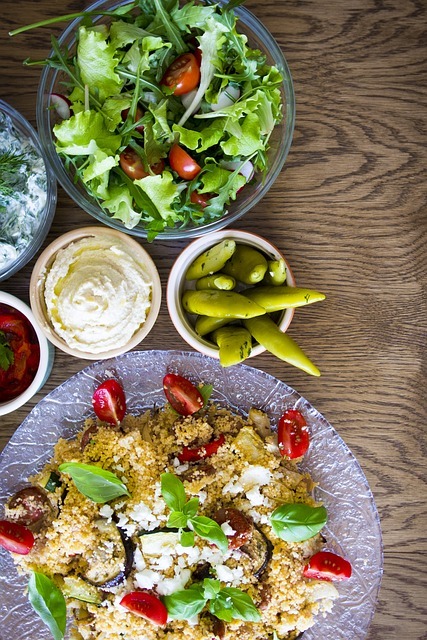 Another delicacy that you might find commonly in Morocco is Couscous. Whether in more prominent cafes or even with smaller vendors, couscous is a staple in local Moroccan cuisine. Morocco's couscous is most known for its delicious blend of flavors and texture. It is usually served with lamb and enjoyed on its own too. It is definitely an experience you wouldn't want to miss out on! As a traveler in Morocco, you can choose to go on a food tour! A food tour helps you navigate through the city's most famous street foods and cafes with different stops that let you enjoy the diverse tastes the country has to offer. This is a great way to experience the diverse culinary styles in the region. Another amazing thing is how you can also learn to cook their native cuisine yourself! Yes, you heard that right. Travelers are offered classes that teach them how they can recreate these Moroccan specialties. These classes teach iconic dishes from the Arab, French and Andalusian culinary styles. Shopping in the Medina or local "Souk"
Every traveler has their heart set on exploring the goods on the country they visit. Well, you're in luck! The city of Marrakech is one of those places that is known for its flea markets and shopping centers. The Arabic term for these flea markets "Souk". 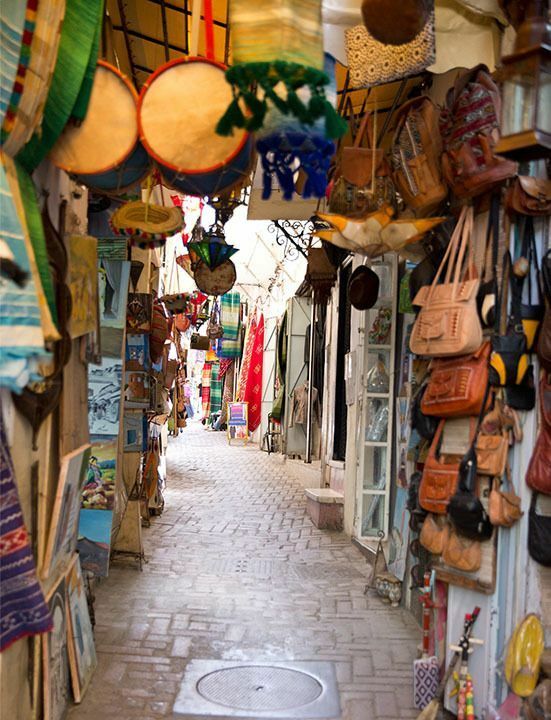 Marrakech souks offer local craftsmen and traders to come together and offer you Morocco’s best. 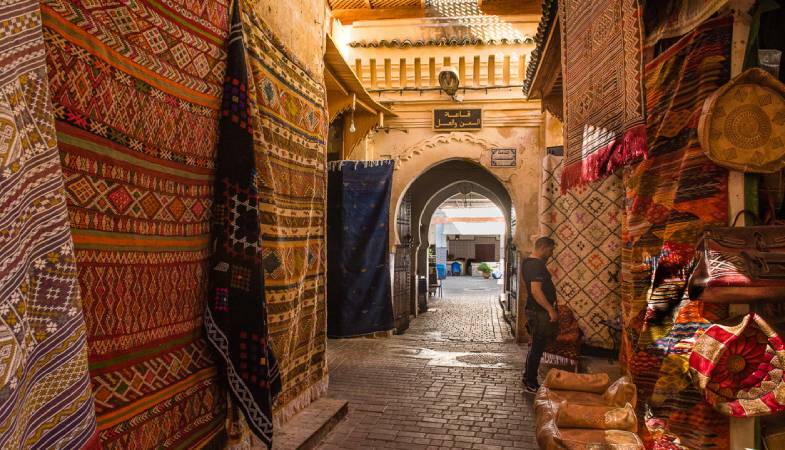 If you want some retail therapy, then visiting these local souks should definitely be on your list. You will find a large variety of pottery, leather goods, carpets and an endless array of local spices. It is captivating to see such culture and beauty that you get to take home with you! This is what makes Marrakesh souks a definite sight to see. Be sure that you come prepared with an empty suitcase because there is going to be a lot that you're taking home with yourself! The Moroccan shopping experience is not just secluded to flea markets. With the recent developments in tourism, there are many shopping malls and plazas that you can visit to experience all of Morocco’s goodness. Marrakesh shopping malls offer the prized local craftsmanship all under one roof. That means you get to experience a modern twist to the local culture! You can pick up some souvenirs to take back home or perhaps the well-known bejeweled pottery that might be an excellent addition to the dining set back home. Bargaining in the souk or Fleamarket! Shopping in general is an activity that runs in our blood, whether we go shopping for things we need, or just take a break and look for what is hot, and trending around us. Shopping certainly seems to satisfy a certain needs we have. One of the places I like to go to and explore are the busy bustling markets of Marrakesh, and old medina of Rabat (bab el had), here you will be sure to find what your are looking and perhaps a little bit more that that. The prices are reasonably fair, but make sure to bargain for almost anything you buy. I personally don’t like to do that, but if I want something, I will ask the price from three different shops as a way to get to know the market, then I will bargain from there. There are definitely many things you can bring home with you, but below are the things that you will most likely find only in Morocco!. If you are looking for a perfect end to your journey, then the Local Spas and Hammams are an ideal fix to fix your right up! A Hammam is a public steam bath, which is quite famous in Morocco. In traditional times these Hammams were a place of social meetings, and people would come to relax and talk. Now the Spas in Marrakesh have a contemporary twist to them. With the fewer traditional Hammams existing still, most travelers make it a note to visit at least one of them during their stay. Tourists also get the opportunity to gain cultural insight and relax in the steamy hot bath. There is a separate section for females where they can socialize with the local women of Morocco too! However, if Bathing with total strangers puts you off there is nothing to worry about! These Hammams also offer private baths and treatment rooms that give you the experience of all the high-quality products that Morocco has to offer. From skin exfoliation to soaking in the bath salts, it is the perfect way to de-stress. Book a local hammam and see the different packages they have to offer. 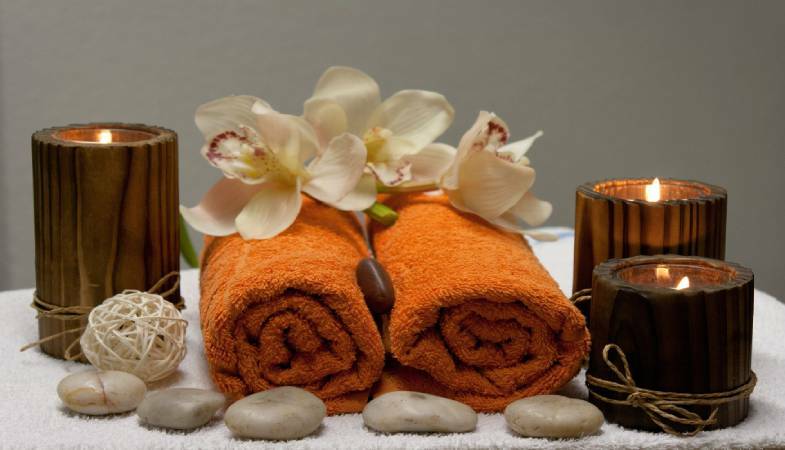 The Local Marrakesh Spas and wellness centers provide full Spa treatment with Massages and aromatherapy. Some Hammams make use of natural sites and oasis, that help you witness the true beauty of Morocco while you relax in the hot steamy baths. The beautiful country of Morocco has a lot more to explore and visit. The local culture, cuisine, and people make your journey worthwhile. It is also a great eye-opener to how beauty thrives in every place. 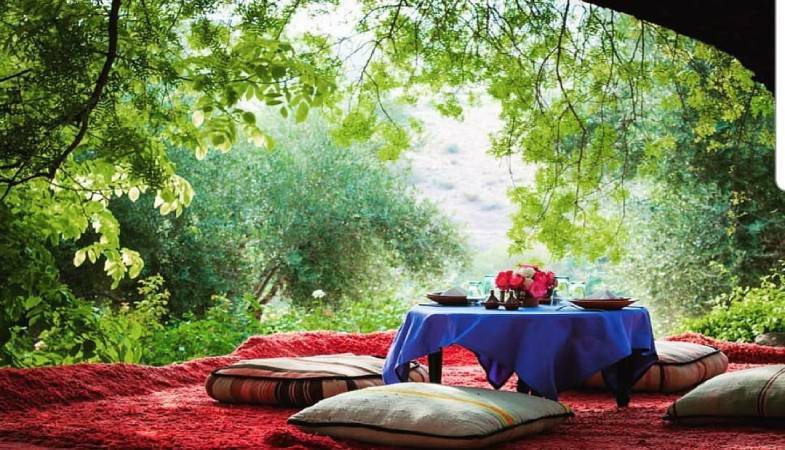 So whether it's some retail therapy, food cravings or relaxing in a spa, Morocco is a choice not to be missed!